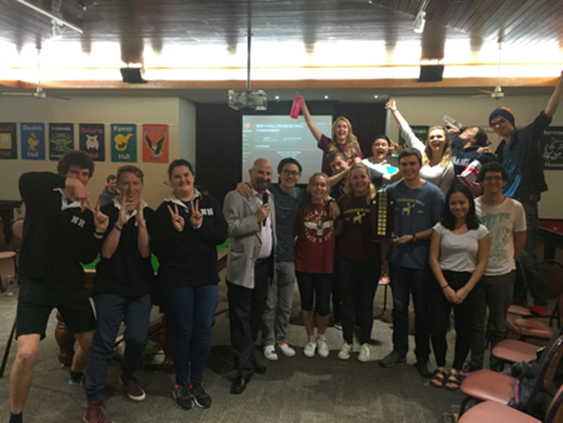 Deakin Hall is a fun, friendly, safe place for you to be the very best version of yourself. Deakin is our oldest hall and consists of 158 spacious rooms, four of these rooms have accessibility features. Deakin Hall is located in the Residential Village on campus at Clayton. 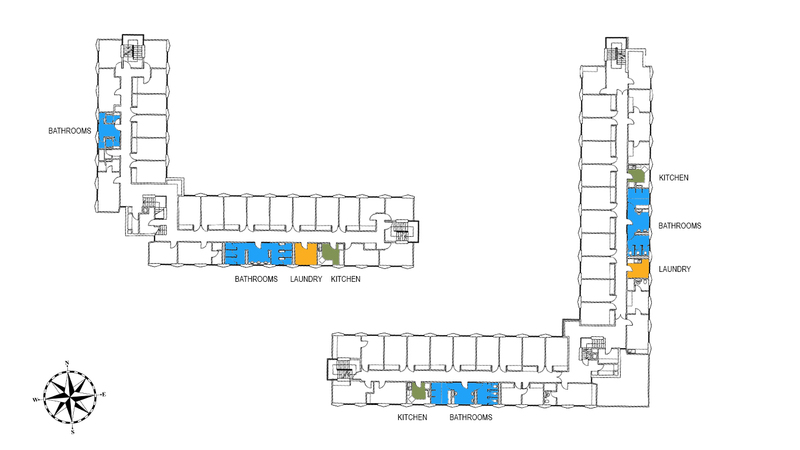 This shows a typical floor plan in Deakin Hall, with some of the shared common areas accessible to our residents highlighted. Typical layout of Deakin Hall bedroom with furniture. 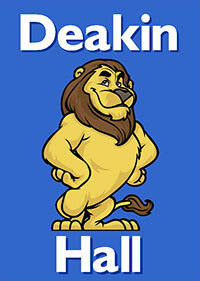 Deakin Hall’s mascot is a lion and our colours are blue and white - during the year we proudly wear our colours on special occasions and in support of our fellow residents at sporting events where a victorious roar can often be heard. 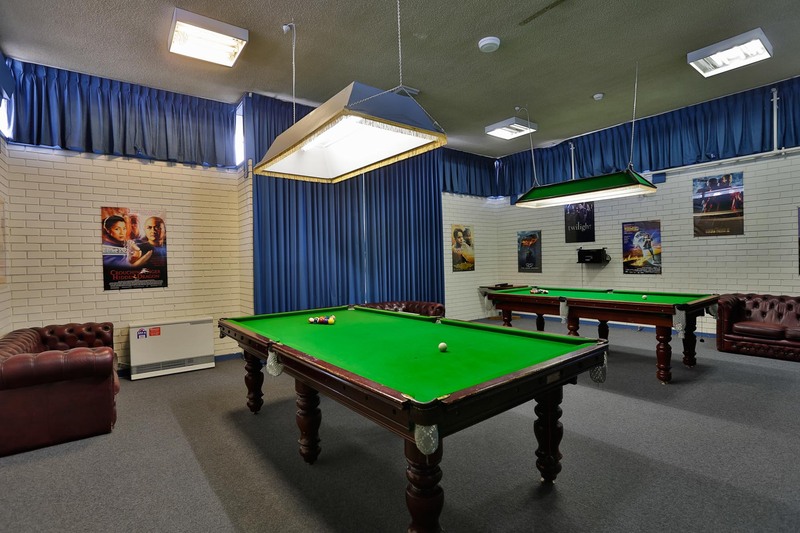 Various rooms and equipment are available for general use by Deakin residents. The J. 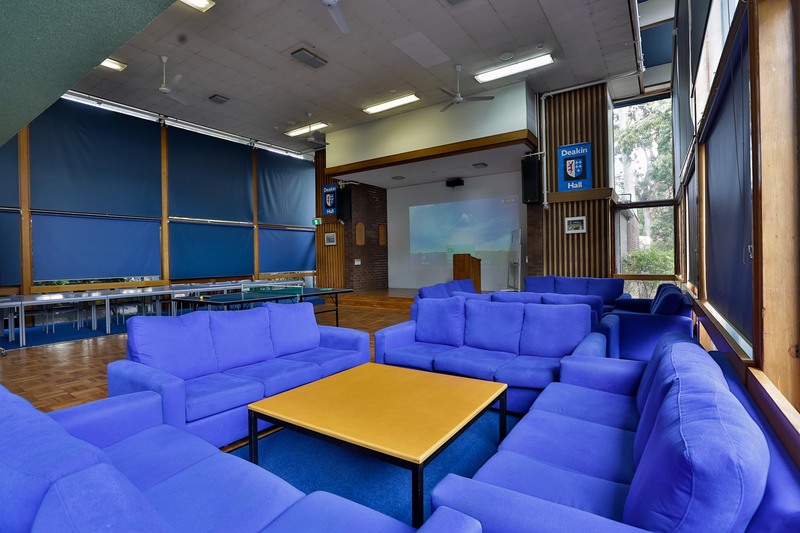 A. McDonell Room is the main Common Room in Deakin. 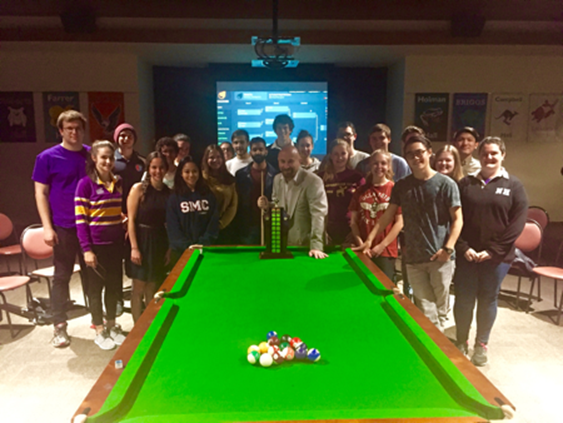 It is named after the first college head of Deakin and is a focal point for all activity in the hall. 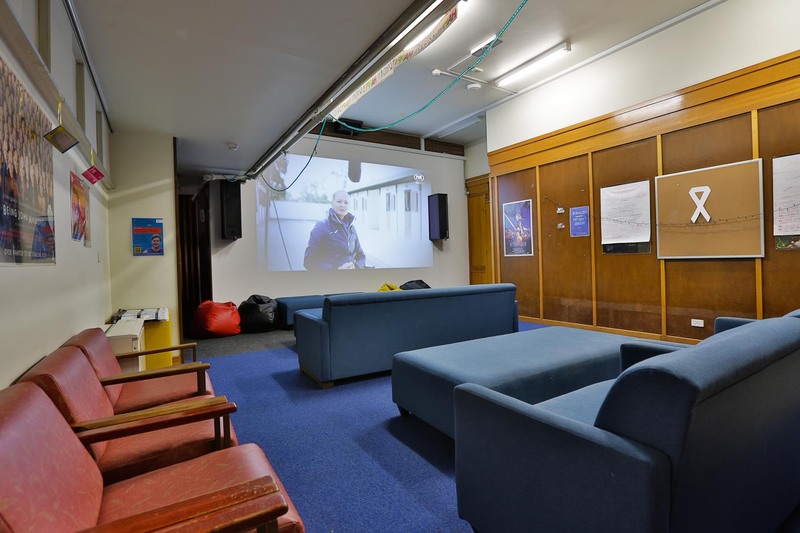 The D. M. White Room, named after Deakin's second college head, is a lounge on the first floor of Old Deakin. The Stafford Kay Library, on first floor, Old Deakin and named after Deakin's third college head, contains the computers and the Deakin Hall library. 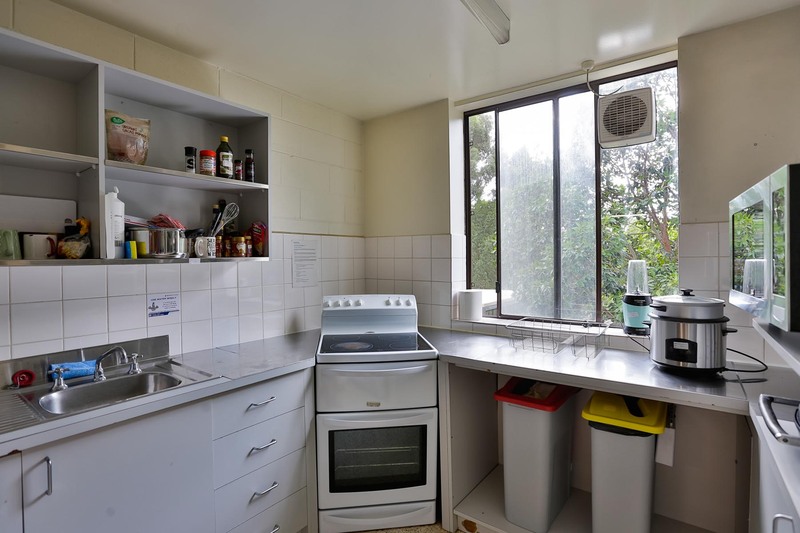 The “Logan’s Loft”, named after Deakin's fourth college head, on the third floor of New Deakin was extended in 1996 and a kitchen was added. 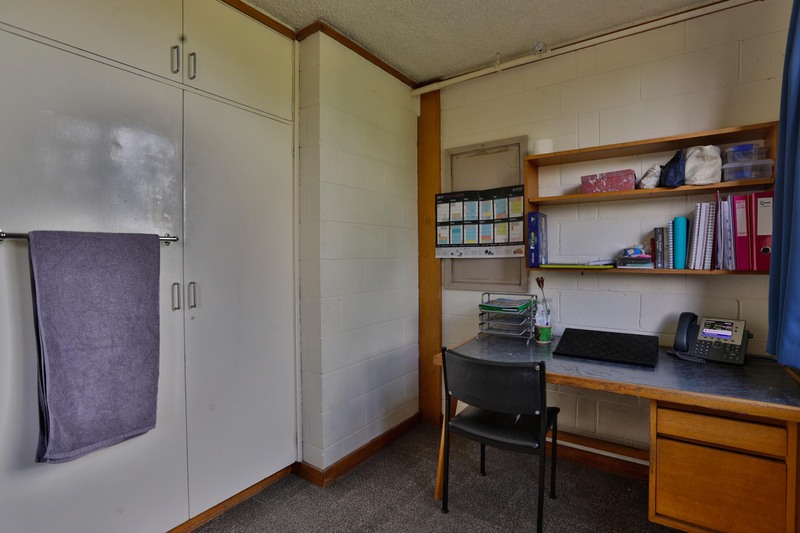 The Shirley Trembath Room, named after Deakin's fifth college head, is located on first floor, Old Deakin. It is available for quiet study and meetings. 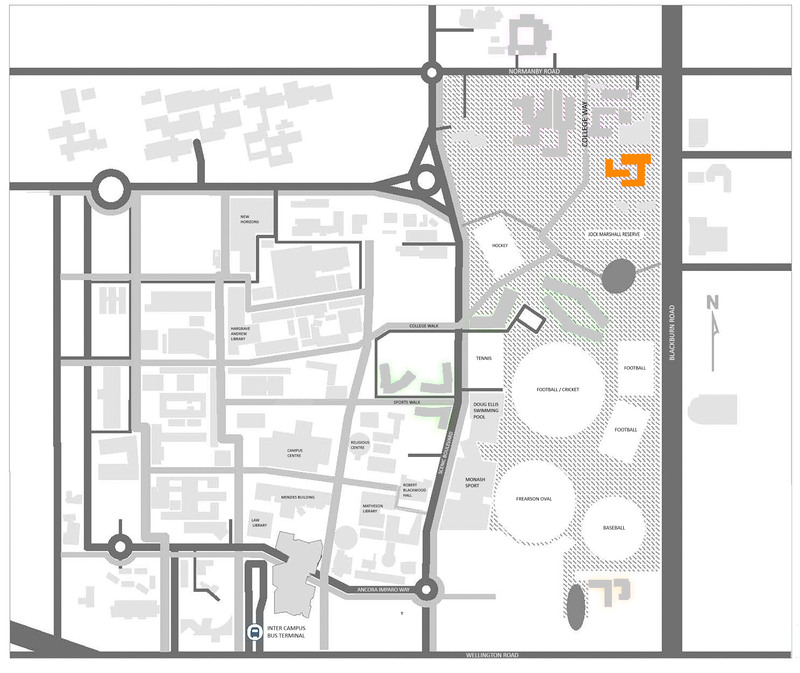 The Mark Davison Room (aka “The Proj”) is located at the rear of the McDonell Room. 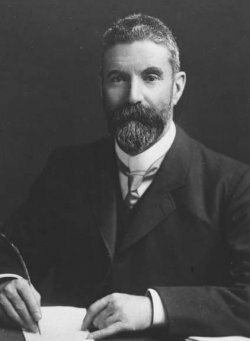 Alfred Deakin (3 August 1856 - 7 October 1919), Australian politician, was a leader of the movement for Australian federation and later the second Prime Minister of Australia. In the last quarter of the 19th century, Deakin was a major contributor to the establishment of liberal reforms in the colony of Victoria, including the protection of rights at work. He also played a major part in establishing irrigation in Australia. It is likely that he could have been Premier of Victoria, but he chose to devote his energy to federation. Throughout the 1890s, Deakin was a participant in conferences of representatives of the Australian colonies that were established to draft a constitution for the proposed federation. He played an important role in ensuring that the draft was liberal and democratic and in achieving compromises to enable its eventual success. Between conferences, he worked to popularise the concept of federation and campaigned for its acceptance in colonial referenda. He then fought hard to ensure acceptance of the proposed constitution by the Government of the United Kingdom. As Prime Minister, Deakin completed a vast legislative program that makes him, with Labor's Andrew Fisher, the founder of an effective Commonwealth government. He expanded the High Court, provided major funding for the purchase of ships-leading to the establishment of the Royal Australian Navy as a significant force under Fisher government - and established Australian control of Papua. Confronted by the rising Australian Labor Party in 1909, he merged his Protectionist Party with Joseph Cook's Anti-Socialist Party to create the Commonwealth Liberal Party (known commonly as the Fusion), the main ancestor of the modern Liberal Party of Australia. The Deakin-led Liberal Party government lost to Fisher Labor at the 1910 election, which saw the first time a federal political party had been elected with a majority in either house in Federal Parliament. Deakin resigned from Parliament prior to the 1913 election, with Joseph Cook winning the Liberal Party leadership ballot. 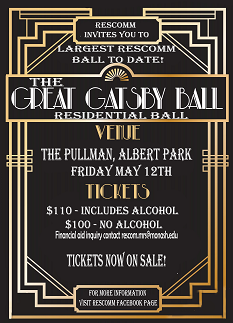 If you’d like to live at Deakin Hall and be part of our community, please apply here.